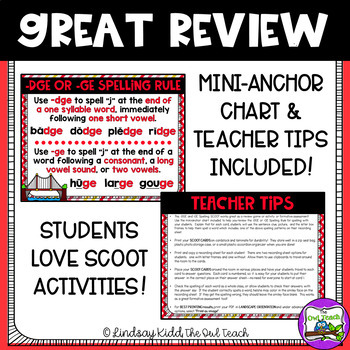 DGE and GE Spelling Rule: This is the perfect activity to get your students engaged and reviewing spelling patterns for the final "j" sound. 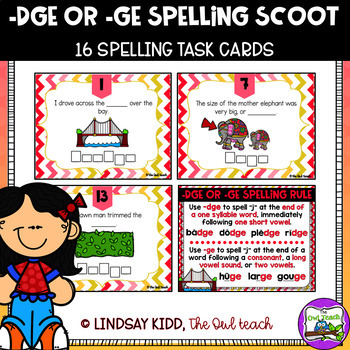 This set of task cards is designed as a SCOOT activity, which will have your students moving throughout the room and spelling words which include the final -dge or -ge spelling pattern. 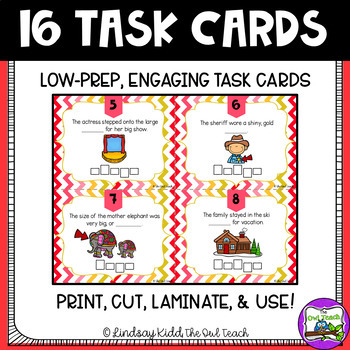 These -dge or -ge task cards compliment orton-gillingham instruction! This makes the perfect formative assessment!